This year marks my fourth year in blogging. From just one personal blog, I now have five blogs with different niches. Last two years, I was able to buy the makoyskie.com domain. 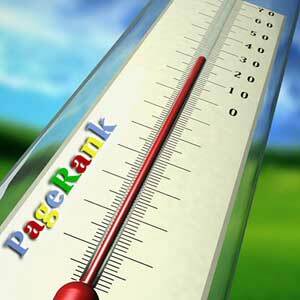 It was a good thing in the long run but my old personal blog's Page Rank and Alexa Rank suffered. I have 303 back links from my old personal blog and I need to get at least half of it back. From my Page Rank of 6 way back it is now 2. Reasons for the slump is my transfer to a new domain and because of some paid reviews. My Alexa Rank on the other if I can recall is on the 100K mark and now it is currently on the 500K, a huge slump right? Because of that I am doing this PR and Alexa Rank project. I need ex links for starters with my blogs same niche. Aside from the ex-link project, I have started placing ads on Adgitize on my two blogs. I also have returned in dropping cards in Entrecard. After days of dropping entrecards and my ads active on Adgitize, my Alexa rank has improved 20,000 points. Isn't that great? To improve my PR, I have to continue posting comments on sites. That can also help in promoting my blogs. Let's wait and see if this project will improve my PR on the next PR release. Adgitize and Entrecard sure is a big help for bloggers..and so is commenting..grabbed your badge and placed it on my site..